I am so excited to show y'all my new lighter, brighter, country French kitchen. It took me around three days to paint. I LOVE my new kitchen. The biggest change was the color of course, but we made another change to the breakfast room. Beadboard! Don't you love it? I do. I have wanted beadboard for quite a while. Mr. Savvy finally agreed. Now get comfy. Lots of pictures. from One Kings Lane on February 11 and finally received them a week ago. Well worth the wait though when they were only $15 for the TWO! If you are not familiar with One Kings Lane check the button out on my sidebar. Still want a bull head for my hood. Wisteria, please put yours on sale. Dash & Albert rug purchased from csn.com with giveaway win. Close up of my French cow canvases. The new wall color is Frappe by Benjamin Moore. It is like a French vanilla color. I purchased the paint with the primer in it in flat. Love this paint. It took two coats to cover the dark green and I still have over a quarter of the gallon left. 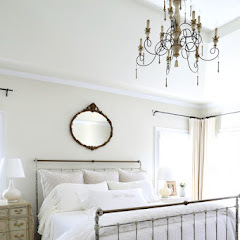 The beadboard paint color is Chantilly Lace by Benjamin Moore in semi gloss. The beadboard was hung at 53 inches high and then the trim on top was added. This room feels so much taller now. We have nine foot ceilings in here. Those were the only changes made, but what a difference. Now the rooms that are open to each other flow better. I love the sun room being the only green room now on this floor. The kitchen and great room areas look like the same color in some of these shots, but the great room color is darker. years, but I love this new color more. I wish you could see it in person. Come on over! Congratulations! It is absolutely beautiful! May you have health and happiness always in your new kitchen! ohmygosh, Kim, your kitchen looks twice the size! I loved the green, but you know, I painted mine about the same color and I LOVE it. so happy. The beadboard and cow canvases are icing on the cake!! yea!!! I would LOVE to come over Kim. What a fantastic transformation. I dig the cow canvases..and what a great price. I love the last shot, very cool! It's gorgeous Kim. I love the bead board and the new colour. I'm off to check out that new site because I love your cow canvasses. Looks wonderful! I love the french country feel it has! The beadboard looks awesome! It's so airy and bright! It opens up both rooms. It turned out great. Love beadboard! Your dining area always looks pretty! Turned out beautifully Kim! Your home is so pretty, wish I could come over! Your room is so gorgeous, Kim. Your kitchen has great bones to start with and I love the beadboard and the fresh colour. I love.love.love the cow canvases! I clicked on the button for One King's Lane, but it won't accept my Canadian postal code. Do you know if there is any way to order them and have them shipped to Canada?My sons would be beyond thrilled to have a pair. Girl, do you ever rest? Everything looks great! I'm glad you kept the red checked drapes cuz they make me smile! I love the beadboard..I used it in the back entry hall and in one of the guest rooms, and wish I had used it more..it adds so much interest! Great job on every little touch..now sit yourself down and take a break! It looks wonderful Kim! I love the lightness of it all. We are working on a little kitchen makeover too, but it is too soon to even post about it....another couple of weeks. Love all of your changes, especially the beadboard. Your home is so beautiful, yet comfortable and cozy at the same time. The kitchen looks much larger and makes a clean segue into the other rooms. Very nice! Your kitchen looks fantastic Kim! I love the light color ~ it really makes all of your accessories stand out! This looks great! Your house is so bright and open! I like the taller height of the beadboard...is there anything magical about that 53 inch height? No, it just looked like a good height when we added the trim on top. wow I just love this and I have always loved bead board...lots of it around my house too! I think it add a timeless look and always look fresh. Job well done and thank you so much for sharing!! PS love the ten ft ceilings! I love the new color! The beadboard is gorgeous, but I am dying over your cow canvas'! They are a great find! Looks great! What a beautiful change and so inspiring to me because I have A LOT of green walls in my house and I want to make some changes too. Thanks for such great photos and for the name of the color you used. It's just so fresh looking. Love that Frappe color, Kim! The kitchen looks great! What a great buy on the cow canvases. I guess I should visit One King's Lane more often. Enjoy your lovely "new" kitchen! Great job Kim! We have bead board under our bar stool counter. Love it, so easy to paint and wipe down to. You will so enjoy it. Makes the kitchen super cozy. Wow! Love the beadboard and adore the cow prints. Everything is just beautiful! 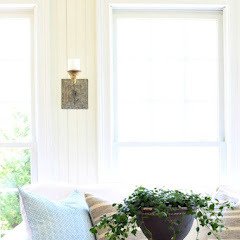 I absolutely LOVE the beadboard, I'm in the process of adding it to my home also. The cows are just great. Love it all! Your kitchen and dining room are GORGEOUS!! Isn't it amazing what simple paint can do! It's very classy and sophisticated. I love it! You have really inspired me. I can't wait to lighten things up in my home as well. Everything looks absolutly delightful!! It looks great Ms.Kim!! I got on here earlier and saw your "come back tonight"...I couldn't wait to see what you'd been up to!! We had a great rainy weekend to work on stuff, didn't we? I'm loving all these great blogs, but I always have to see what you've done first! Thanks for replying to my email about using old windows. I've used one and love it! Have a great week. Blessings. It all looks very fresh. I love beadboard too! I'm trying beadboard wallpaper with a wood trim on top, like yours, in my daughter's master bedroom. I'll let you know how it goes. What a beautiful kitchen! The beadboard is fabulous and I'm in love with your cabinets. I'm not sure if that green dresser is part of your kitchen, but I am totally in love with that as well. Have a great week! Kim, I love how bright and light everything is. How fun to see it all. I love everything. The new paint color is so subtle and attractive. Thanks for taking all of the wonderful pictures! Oooo, Kimmie, it's gorgeous! I love your new painted cabinets and your beadboard. 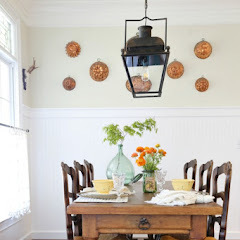 I have a beadboard of sorts in my little breakfast room and just love it. Now your kitchen is all ready for my Heart of the Home Party - Show Us Your Favorite Cupboard Party! I hope you'll come. Sheila, I painted the walls not the cabinets. I will attend your party. So happy to see the whole thing. It looks wonderful! I agree with the others. Your kitchen looks much bigger now. Since your kitchen is open to your family room it really looks even better in a similar color. It flows much better. I love everything you've done to it! Kimmie, your kitchen is gorgeous! I love that soft and subtle color, it's perfect. Love the cow prints in your kitchen and also like your beadboard, it has such a nice look to your breakfast room! Terrific! Your kitchen looks gorgeous, Kim. I love the color you chose. It's very light and airy. You did a beautiful job decorating and what fabulous ceilings you have in the kitchen. Gorgeous Kim! I love how the beadboard made a cheery space even cheerier! Especially against the checked drapes! And those cow canvases are just perfect. The beadboard makes those walls 13 feet tall! One Kings Lane is fun but every thing I want is sold out! Your art was a wonderful price and looks fabulous over the beadboard! Lovely kitchen! and I love your kitchen table! Stop by to enter my giveaway! Wow, now Kim, your kitchen is one of a kind! You can certainly point with pride about how awesome it looks! Congratulations on such a remarkable looking kitchen, just beautiful and oh so, delightful Kim! I love it! Love it Kim...I just finished updating my bathroom and everything is lighter. Came out great. I love your kitchen. Do you have two different color cabinets? Seems like your island has a different color on the bottom. I love that look. I love this new color! The beadboard looks awesome! Kim, I loved your green kitchen--but this color is so transforming. It is light and bright and opening. I love love love the beadboard!! You (and your husband) are amazing in getting all that work done so quickly. As usual--Beautiful! Beautiful! Of course though would you have it any other way!? Everything you touch turns amazing! Oh Kim, your kitchen is what most of us dream about! I love the new color, I am so partial to anything yellow. And you chose such a whisper of a yellow!Gorgeous! Beadboard makes a very big statement... and it adds a fresh look to your eating area. I'm freshning up my kitchen, too! I love it. It looks so bright and airy. I loved the green too, but this looks amazing! The bead board looks perfect in there. It's just beautiful! You must be thrilled! Gorgeous Kim...I think you're ready for the "big time" now...looks so professional!!!!!! It was good before but these changes make it just perfect!!! 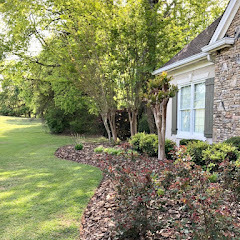 Beadboard makes such a difference! Thanks for sharing! Kim, Everything you do is so classy!Both looks wonderful. I see the creamy,airy and yet rich background for your pastoral items is just wonderful. I wish Many Happy times for you and yours in these rooms!Thank you for sharing. Love the check drapes and cow prints. Emelia. I agree, Kim! Huge difference! Your kitchen looks great and those cow prints are adorable! Now, relax and enjoy your new lighter, brighter kitchen! wow! its fantabulous, so clean and bright and filled with fun personal style. Congrats! WOW, its looks gorgeous. It's amazing what paint can do to a room! Enjoy it. What an amazingly gorgeous kitchen! I love the new color and the cow canvases are perfect for your space. Love, love,love!!! So light and airy now, Kim! I am loving the beadboard and the cow canvases! I am amazed how much you get done! I am always working at a snail's pace LOL! Looks beautiful Kim. Looks even larger than before. Amazing what paint can do. I really love that paint color. You are right it makes the room look so much taller. And I really love those cow prints! I can't believe they were only $15! The beadboard looks great. The whole thing is just lovely. I love the subtle changes and yes, it all flows together so nicely. I just received the same cow picture from OKL, but only got the one. It's really wonderful, isn't it? I like how it looks in your breakfast room. The beadboard looks fantastic too. Not that your kitchen could get anymore gorgeous... but it just did. 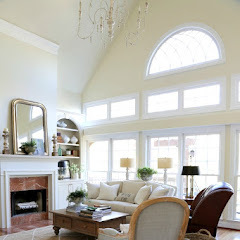 Love the new light and airy look! The beadboard is the icing on the cake! I want to try beadboard in our kitchen, too. I'm so inspired to get moving! It looks amazing, Kim! Enjoy your week in the new kitchen! That all turned out so wonderful! It's so bizarre to me to see you painted the green, because I just did the exact same thing! I love the beadboard and it does create a very tall feeling to the room. Amazing! The two canvas pieces you waited for from One King's Lane are very cool! You have such a talent for decorating! Well, well, well, missy! You have been busy! It all looks so beautiful and bright! I love your new canvases and can't get over that you got them for $15! Your kitchen is really all about you and your taste and it looks wonderful! Oh your kitchen is just gorgeous. I love the pops of red. It is all just yummy! I love all the changes you've made. I am wanting to go lighter and brighter in my next home too. I love the creamy colours of this room and your dining room. The perfect colour to showcase your beautiful accessories. LOVE LOVE your kitchen! I think it's just beautiful and so well done. I would love to know the brand of the cow canvases if possible-- perhaps I could find them elsewhere, being that one kings do not have them anymore. How very bright and beautiful!! I LOVE LOVE LOVE all your farm animal decor. I can't ever get enough of them! I just used the paint with primer in it as well: so nice not having to do so many coats! I like how you have the green inside your china hutch also. I'm thinking about doing that in my kitchen cupboards. So hard making these decisions. LOVE your place! Wow Kim! It looks amazing! I am a fan of the green and loved it as well but the new look is wonderful too! Loving the bead board! Your kitchen is SWEET! Love the red checked curtains and everything else too. OMGoodness, Kim what a beautiful transformation! Isn't it amazing how much paint can transform a space. Love it....it's absolutely beautiful. Your home is lovely, but this is my favorite of all your rooms. I could move right in. In our master bedroom and bath, we have bead board at the height yours is...about mid window height. My bedroom valance is checked like yours, the scale being a little smaller. I have three apothecary jars (smaller scale) and I even have the Thyme for Courage box hanging from one of my robe hooks. Hi Kim,I'm in love with your kitchen!! The beadboard is so fantastic.I love every single thing.It's gorgeous. Your kitchen belongs on the front cover of Kitchens and Baths Magazine!!!! It's so pretty. What a difference the lighter colors and the bead board makes. LOVE,LOVE,LOVE IT!! The beadboard, the cow pics (too cute), the paint color, Wow! What a pretty makeover Kim! I love beadboard and it looks great in your kitchen. I see you are on the trend to going lighter in your spaces, and it all looks marvelous! Looks good, Kim! Nice and open and fresh. :-) I have been contemplating stripping off my Frenchy red scroll wallpaper in the kitchen, but that is a project that probably won't get done until the cabinetry is replaced. In other words, not soon.... So I will live vicariously through your new room! It looks so light and bright and the cow canvases are great! I just love it. The cow canvases are fabulous!!! Just stunning! I would not know what to do with such a beautiful kitchen! Looks like a project well done for you and your husband! Gorgeous kitchen! Isn't a little fresh coat of paint a wonderful thing?? The entire kitchen itself is fabulous! Kim, it looks so pretty! The new color really brightens the room. This is giving me the itch to lighten up my kitchen! What more can I say after 107 comments!! You have a beautiful home and your decorating is impeccable!! I love the changes you made and the cow prints are amazing!! I'm going to check out your link. LOVE IT!!!! I have always loved bead board although I don't have any in my home. Your's is beautiful. You and Mr Savvy did a great job. I too love the lighter brighter paint color and the way your downstairs flows together. You are such a great decorator. It is gorgeous! I'm currently hiding in my bedroom while they are putting the countertop in mine. I have a long way to go before it looks pretty in there. I love your wall color. I'm glad to know that you are happy with the One Kings Lane items. I see the listings daily but I haven't ordered anything yet. The beadboard looks perfect. I'm not sure how I feel about ours. It is stained now, but that brought out the knotholes and imperfections...it is a little rustic for my taste, but it may grow on me. I know we can still paint it, but under a bar it would be scuffed so easily. Too soon to tell I think. Your kitchen is so elegant, yet comfortable. I love it! I really love how fresh and sophisticated it is. The bead-board is fabulous also. Love your new cows! I've always loved beadboard. Looks fabulous! I love the long shots of the space. What a wonderful job! Beautiful Kim! I love your kitchen! The chairs in your breakfast room are amazing! Too many wonderful details to list! You really did a beautiful job!!! absolutely gorgeous! way to go! WOw! Your breakfast area looks fabulous with those new canvases Kim. Great find! 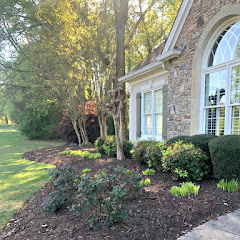 Such a beautiful job--love the new look! What color is the great room? It goes so nicely with the kitchen. Shar, the great room color is custom. It is very close to Powell buff though by Benjamin Moore. Kim, I must be the 1000th person to tell you how nice your kitchen looks :) The color is so fresh and airy and I love the touch of the bead board. I'll bet you are glad to have this little project behind you. Kim, Your kitchen looks so fresh and bright with it's new look. I did love the green though, but I know sometimes you get ready for a change. I have a green kitchen and have been thinking of painting it for two years. You're inspiring me to do it this year. See you Wed. for WOW. Love your kitchen, Kim! Those cow canvases are extra cute, as are the aprons hanging. Looks beautiful Kim!! I love it!I know you must be so happy over that beautiful beadboard. It is spectacular! Love it!! Every inch of your home and what I seen of your sisters is stunning!!! The changes look great Kim. Love the bead board. I used chantilly lace on mine too that is in my half bath. Big fan of the rug too! Looks a lot brighter. Congrats on a job well-done! Stopping by from BNOTP. Beautiful! I haven't seen the 'before' photo but the after is gorgeous! I know you mentioned that you only changed the wall color and did the beadboard, but I have one question - did you paint your cabinets yourself? I noticed the top cabinets have a glaze. I'm in the middle of painting my cabinets and plan on doing a glaze. Just curious if you did yours and if you did, maybe you could give some pointers. :) Thanks for sharing your beautiful kitchen! I love beadboard and yours is lovely. I have a small bathroom with beadboard half way up. Instant charm! I absolutely LOVE this kitchen KIm!! GORGEOUS!! The color is so fresh and bright. I love the beadboard too. Yours looks like a magazine kitchen! I love the changes you made Kim. 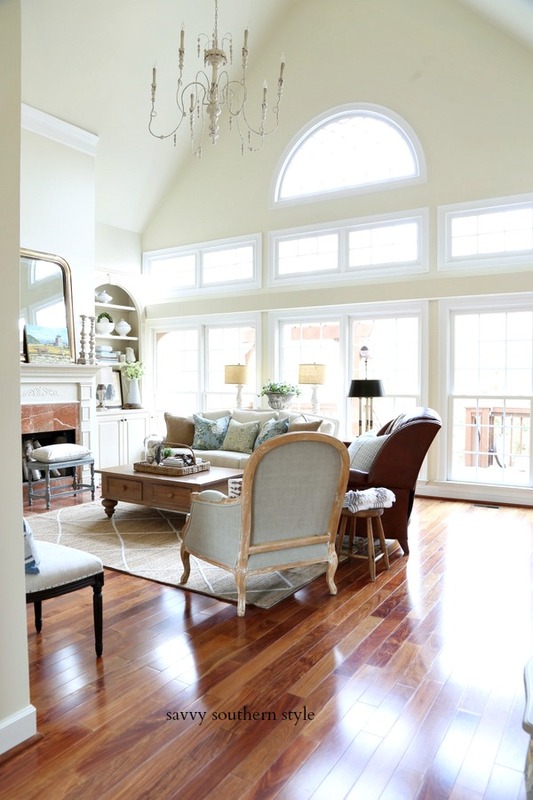 One question, how do you keep your wood floors looking so good? I like the new look! Gorgeous kitchen, Kim. Your kitchen is fabulous! Love all the cow accents. I would kill for a kitchen like this I tell ya! Luke's GiGi, I really only mop with a Hahn steam mop or damp mop with vinegar and water. The floors really aren't that clean when you wipe with a white rag. They just look clean. I love big open kitchens! Your kitchen is so beautiful. Your accessories look great with the new paint color. Looks fantastic! I love the little yellow rooster. You definitely have created a french country kitchen. I just finished a mini kitchen redo of my own, I hope you check it out. I love the new brighter paint colour - it looks so fresh and bright. I can't believe you got all that painted in 3 days. You are one painting machine, is all I can say. Way to go! Kim, I agree with all of the above comments!!! Everything is just beautiful. I have to tell you my favorite thing is the little basket with the red check liner...it is just darling. Thanks so much everyone. Y'all have blown me away! Kristine, thanks, the basket is a picnic basket that I found for $10 and I just added two checked napkins to it. I'm not sure if I have the space to list everything I love about your kitchen!You managed to keep it light,yet cozy. I love the red check curtains and the cow canvases.I love seeing through your arches into other beautiful rooms.Also, I'm very curious about the bull's head you mentioned-that is right up my alley.Take care. *I'm still dreaming of the your English sitting room from last week. Kim your kitchen is just gorgeous!! My eye went right away to those Cow Canvases!!! The beadboard looks fantastic...everything is perfect! What a great makeover! Love the new paint color and bead board. And the cow canvases are perfect in there. dinning room walls look great. Love the lighter wall color....I did love the green, but the new color really opens up the space. Love the bead board. I have it in my kitchen as a backsplash and LOVE it!! Another beautiful makeover! Thanks! Your kitchen is absolutely wonderful as well as inspiring! So many charming french country touches! My FAV!! Especially love your new Cow canvases, beautiful copper pieces, and how you displayed your adorable apron collection. Wonderful job!!! Wow, beautiful. Kim my farmhouse in Montana is the same color with beadboard sista!!! I did it 10 years ago and still love it! However you have so many fun things in here, makes me want to go shopping, great job! I'm amazed! Kim, I didn't think there was one single thing you could do to your home to make me love it any more, but you did!!! The beadboard is just awesome & the fresh, lighter wall color just makes everything else pop. It's fabulous Kim!! I love every detail of it, we are in the process of hanging beadboard as well in our kitchen, and I am so pleased with it. I think you made a great choice with the new colors! Hi Kim! I have been without internet for five days so I am just getting caught up on my blog reading. Your kitchen looks fabulous and I love the beadboard. The cow canvases are also adorable. Enjoy your beautiful 'new" kitchen. Wow!!! I LOVE your kitchen!! It is so very beautiful! I too love those cow prints. They are cute, cute, cute! I love your kitchen redo! Bright and full of personality! I like the cow prints too! Cows always remind me of my childhood on my grandparents' farms. Thanks for sharing and congrats! Kim, I had to drop by again and thank you for sharing your beautiful kitchen at my party. It's so fresh and bright! LOVE IT! I LOVE the website One Kings lane that you suggested in this post. I had to give you credit on my blog. Thanks for the information. Love the kitchen! Your kitchen is gorgeous!!! I love the beadboard! Absolutely gorgeous! And those canvases are amazing! L.O.V.E! Kim...Kim...Kim!!! SHUT.UP! I LOVE the kitchen AND the beadboard! What a difference! I loved it before but this is just stunning!! The colors are perfect and the cow canvases are fabulous and I love your curtains in there!! That red check just pulls me in every time!! It is all just gorgeous!! Everytime I visit...I am SO inspired!! Love the lighter brighter French Country kitchen! Your cow canvases are so charming...and what a deal! This room is magazine worthy. So beautiful and country elegant. I love the cow prints. This is just beautiful! I love the beadboard and the cow and rooster prints are awesome. Your kitchen looks wonderful in this lighter color. Thanks for linking up! OH, Kim! I'm going back through catching up on all that I missed over the week and I LOVE your new brighter kitchen! I knew when I saw the beadboard post I had to keep looking until I saw the whole thing. WONDERFUL! I'm lovin' it!! Great job (as always!!)! It looks absolutely great. Love it all. The molding turned out great and I love how you handled the breaks around the arched door openings too. Inspiration for us all out here in blogging land. P.S. You are my FairyBlogMother. I love the color of the cabinets. I have dark burgundy cabinets, and I want to change them to this color soon! Thanks for sharing. Your newest follower. Hope you can come by and visit me soon. oh my goodness, this is what i dream for my house to look like, i have shown all of my friends your master piece!!! thank you so much for sharing, and i am on my way to the store to buy some of my own, did it paint good, or did it soak up alot of paint? thank you, your home is picture perfect!!!! What an amazing home you have, Kim! The lighting in that kitchen is just gorgeous! The decor you do to it just makes it all the more appealing. I adore white kitchens... and yours is beautiful!! Love the finishes you used and the beadboard. Who wouldn't love breakfast at that sunny table, too? This looks amazing Kim! I still love your old color too though!! You are so talented!!!! Have a good weekend Miss Kim!!!! it is absolutely FABULOUS Kim!! I love everything about it, especially the bovine art!! A lovely, lovely room! Your kitchen is gorgeous. I like all the little aspects of it. And congratulations to you for going through the stress of having it done. I know, I did it a year ago!! Wow you got a lot of comments! I love this kitchen--breathtaking. I enjoy that it is functional and modern with a good mix of your personality and fun. I featured this kitchen on my Friday Favorites tonight. Feel free to come grab a featured button if you would like. Hey, Kim I think I missed this new paint the first time. Looks great, your entire house is just gorgeous. I'm really loving the lighter paint colors myself & that is probably what I'll go with in my fixer-upper when I get one. Happy New year to you! Ohhhh my goodness! Beautiful. I love every single detail. order or off the shelf as in Lowe's, etc. The tile was found at Floor & Decor years ago. Is your floor hardwood or laminate? I'm trying to decide which one to use in my kitchen/DR/LR/hall. We have a HUGE black lab and I'm trying to get something that will not scratch. Yours is beautiful! I love the color! Cheri, it is prefinished Santos Mahogany hardwood and it does have a lot of scratches mostly from a piece of grit getting under my vaccuum cleaner or from us dropping things. I can cover up the larger scratches with a wood floor kit.